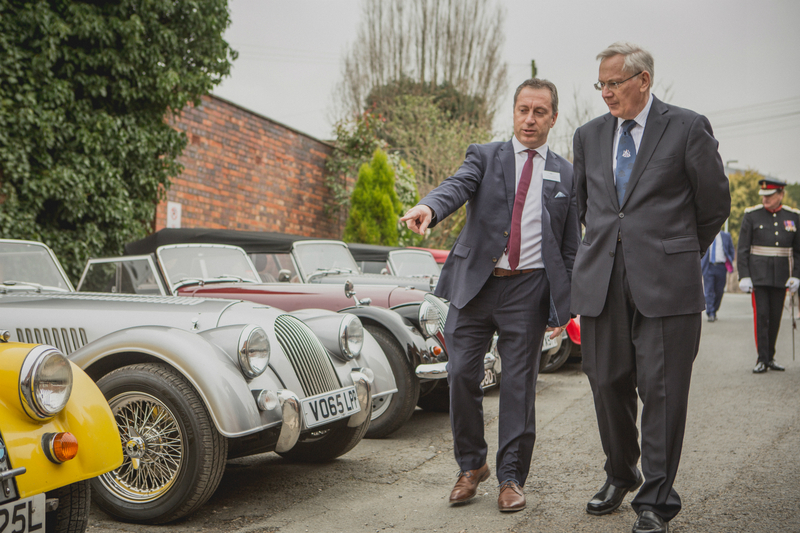 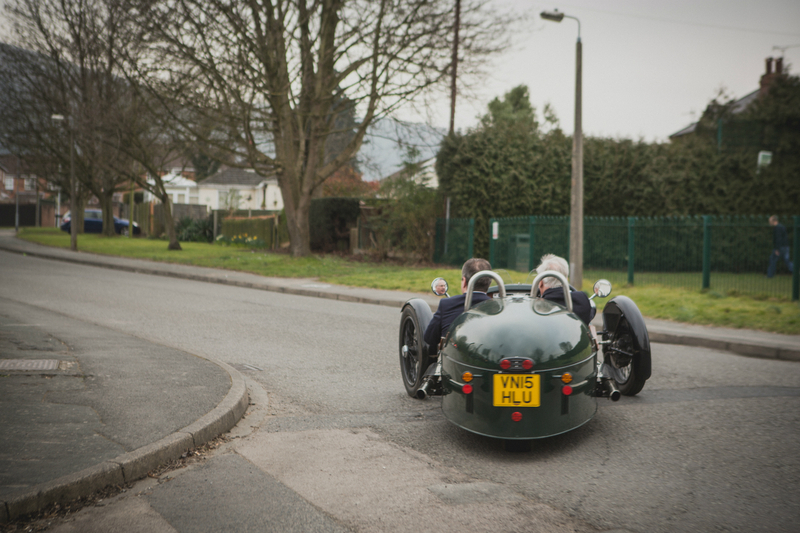 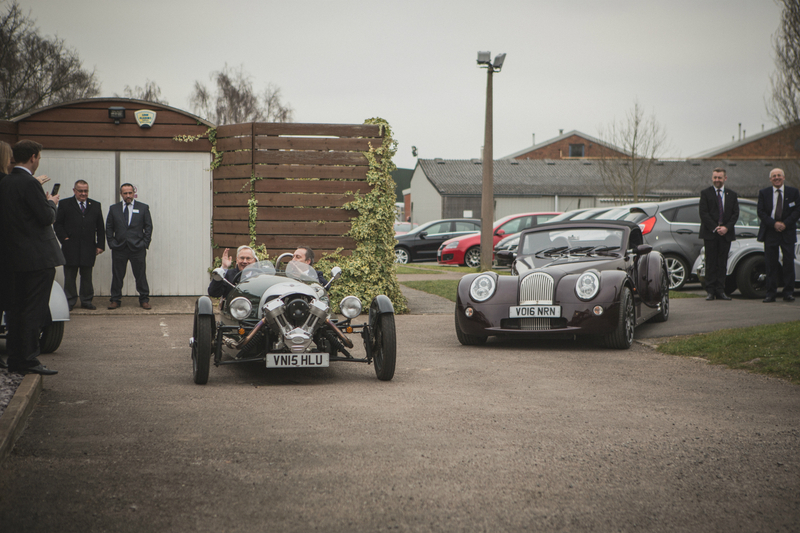 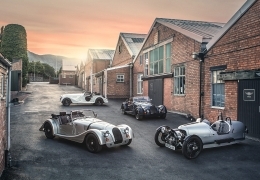 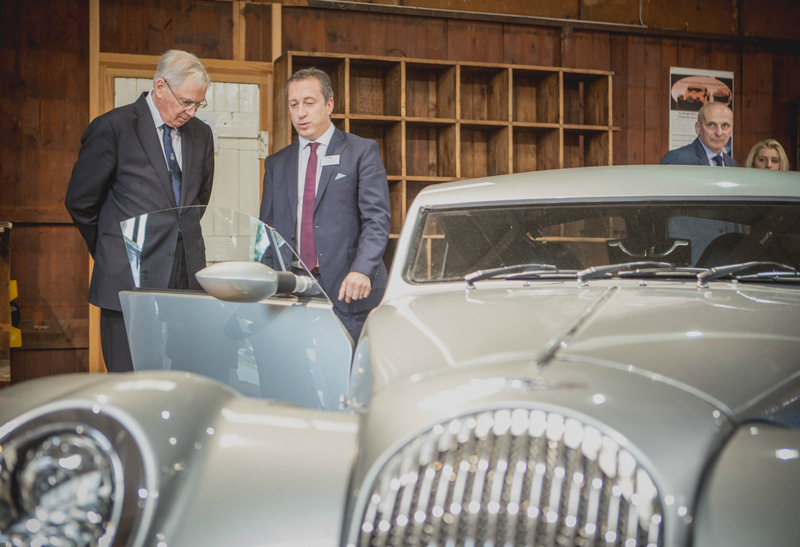 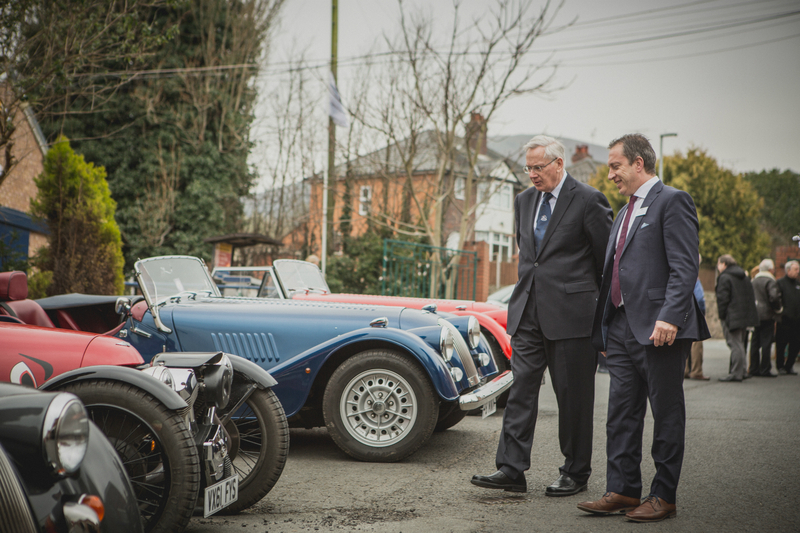 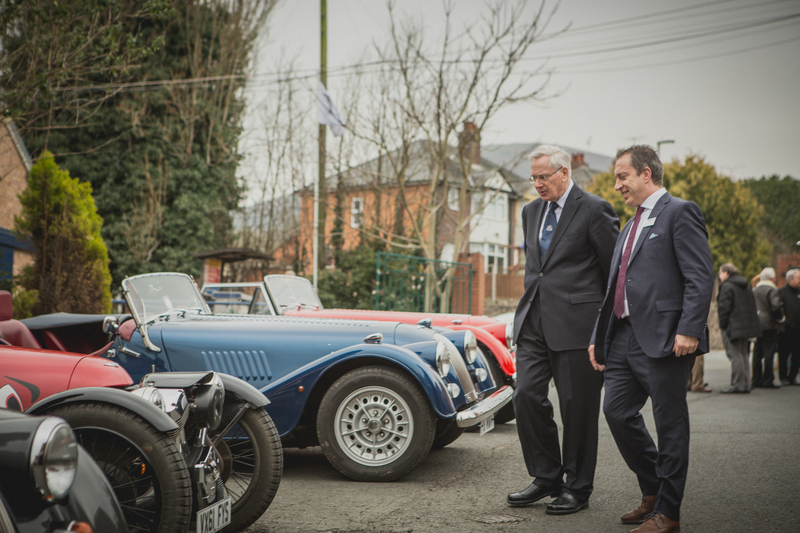 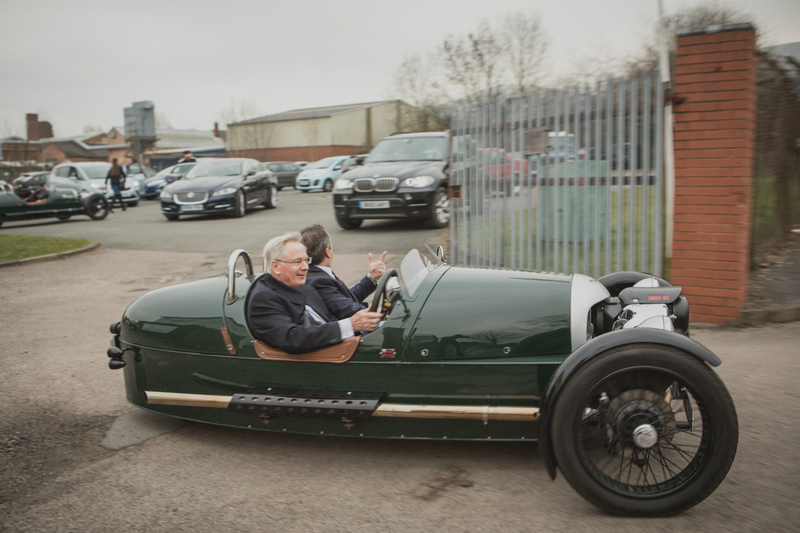 The Morgan Motor Company was honoured to welcome HRH The Duke of Gloucester to Pickersleigh Road as part of his visit to the area. 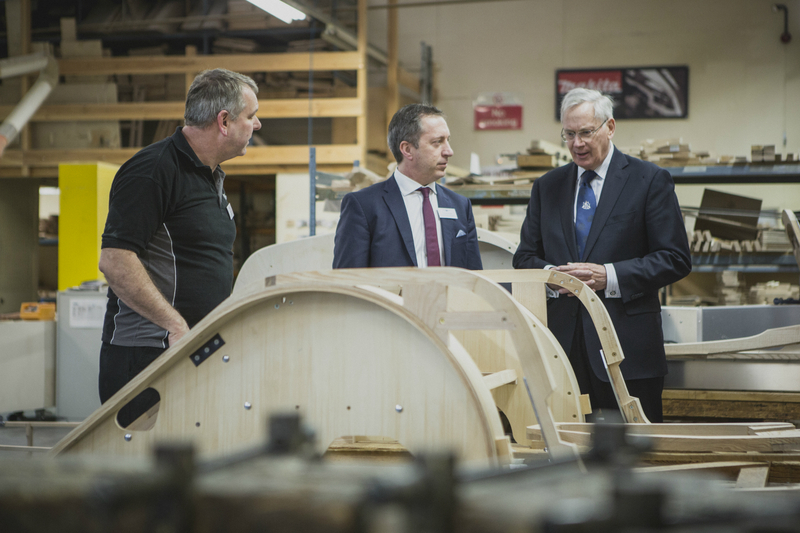 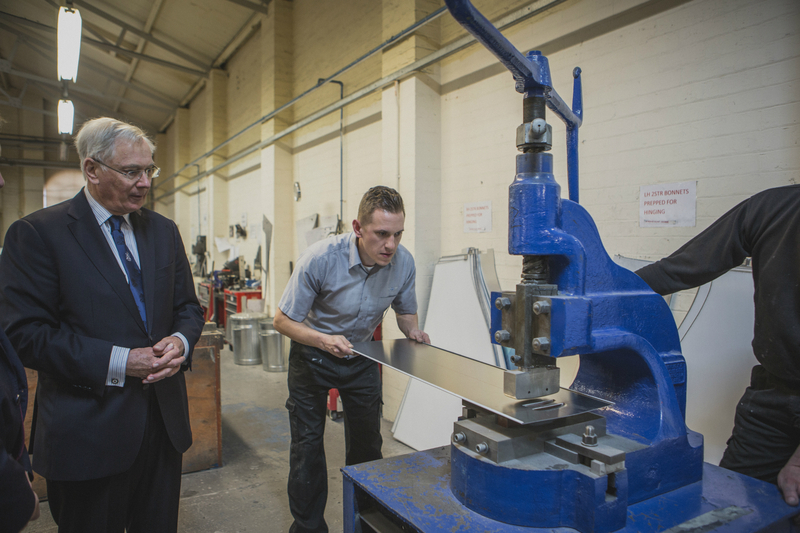 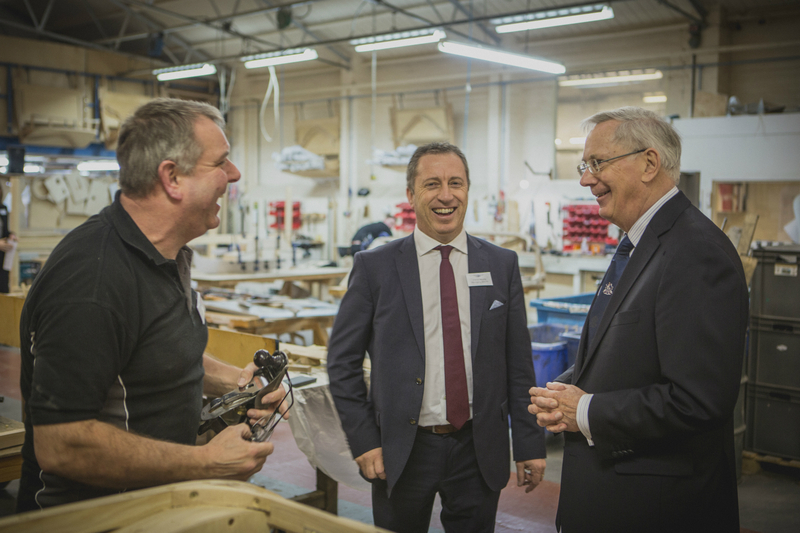 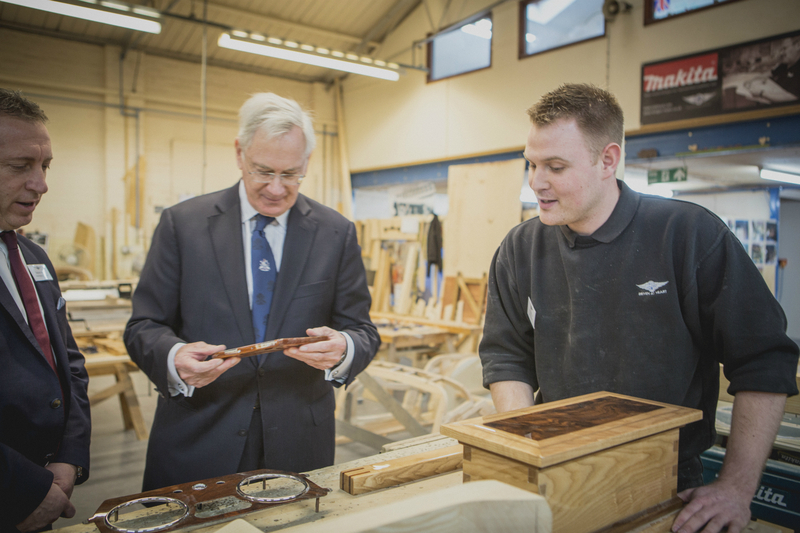 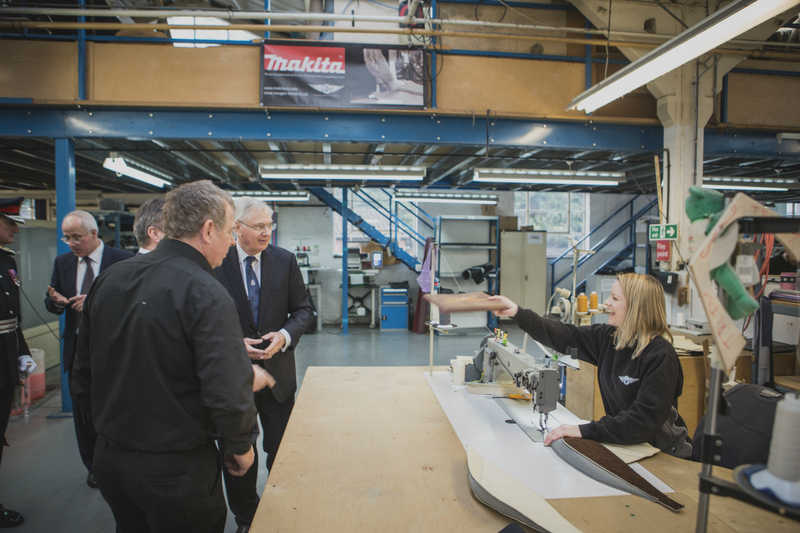 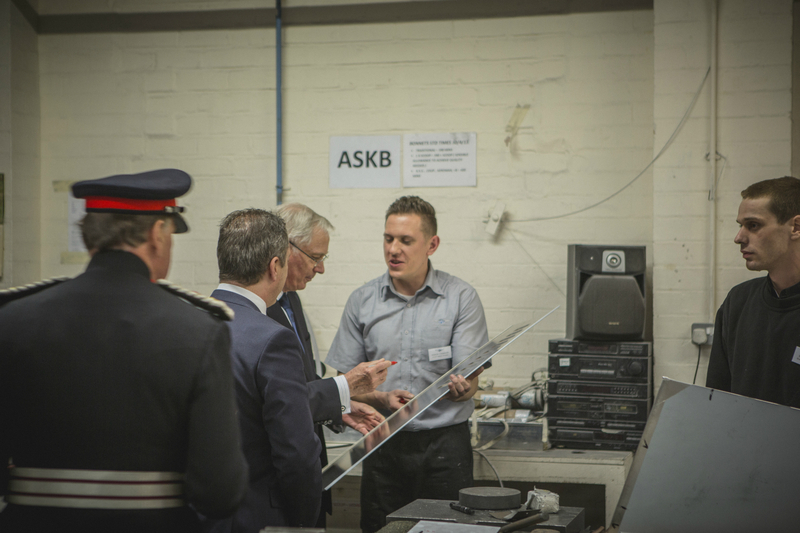 The Duke was shown around the production line and introduced to craftsmen and women by Managing Director, Steve Morris. 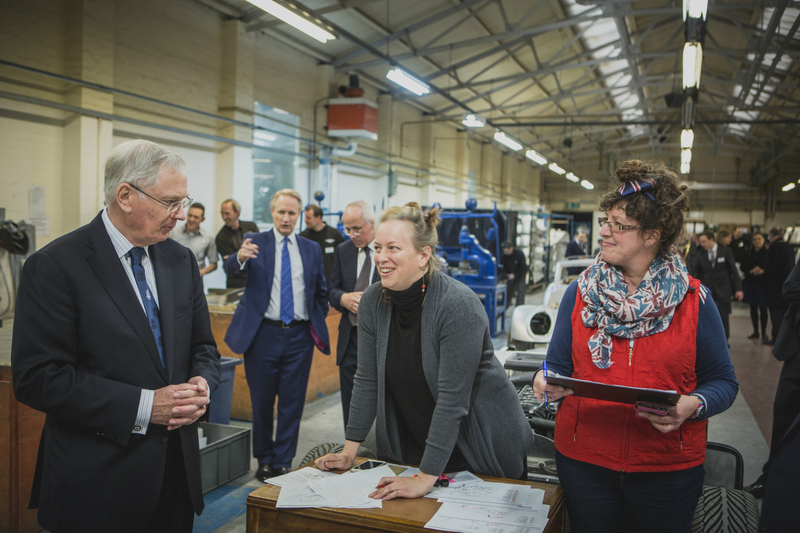 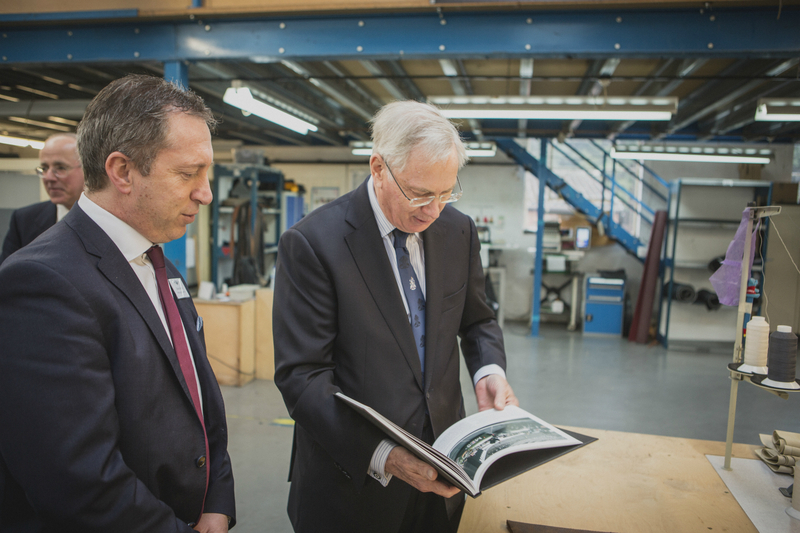 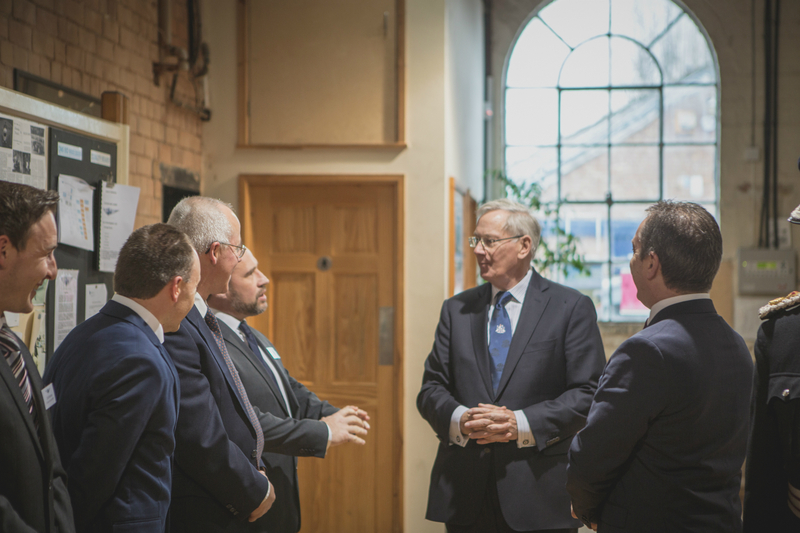 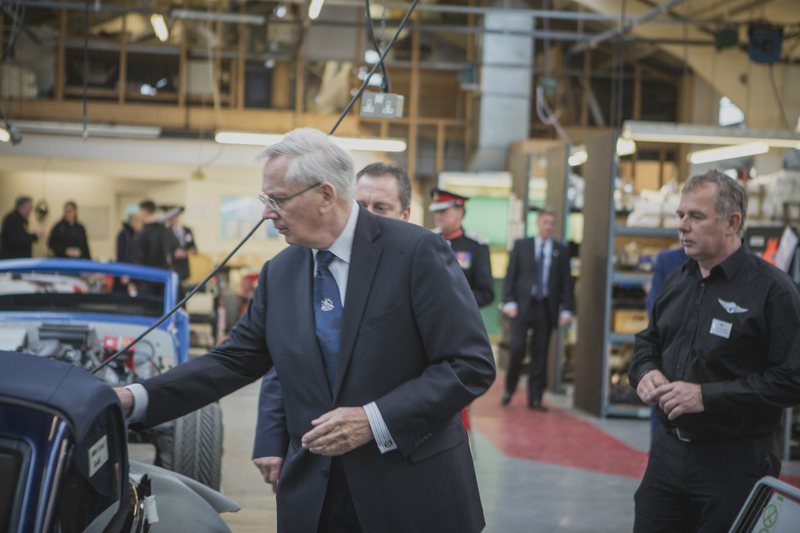 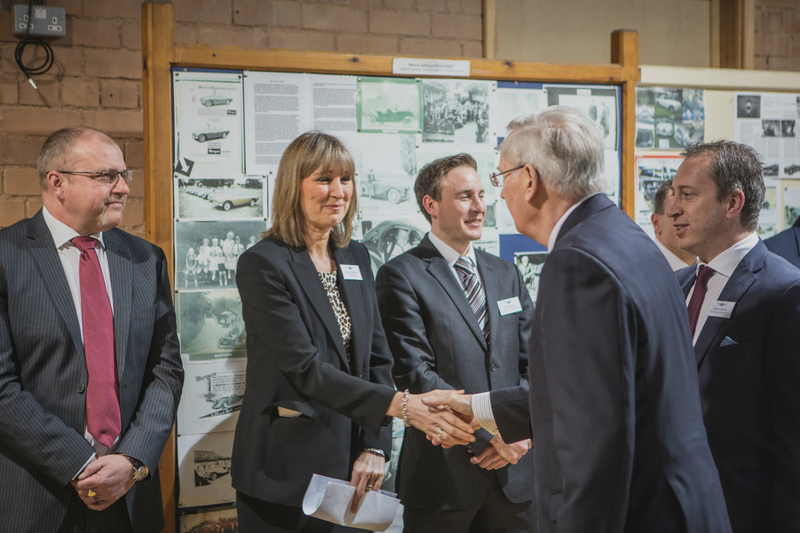 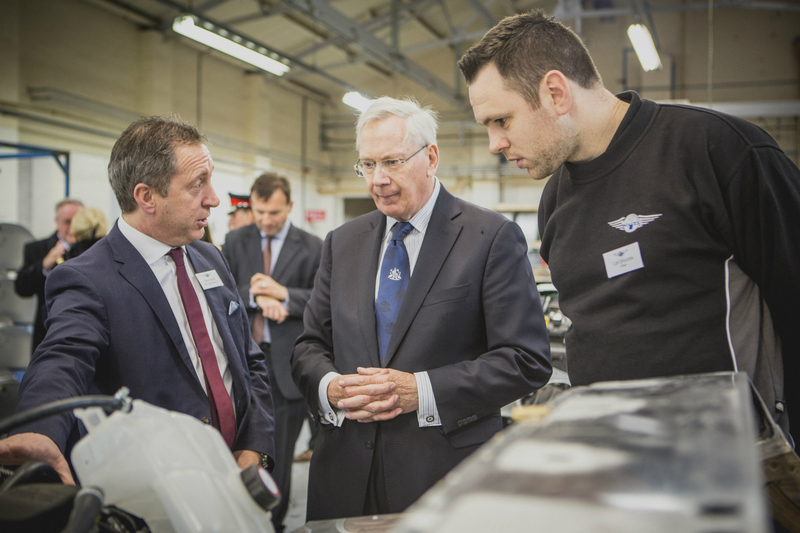 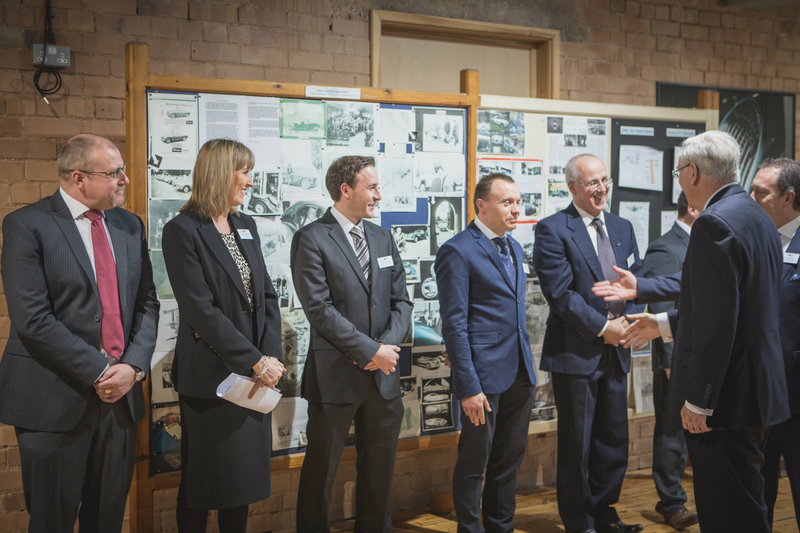 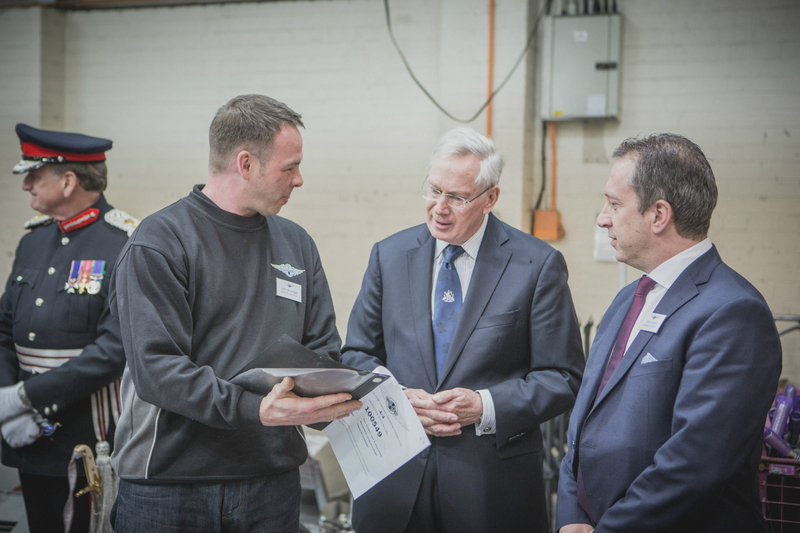 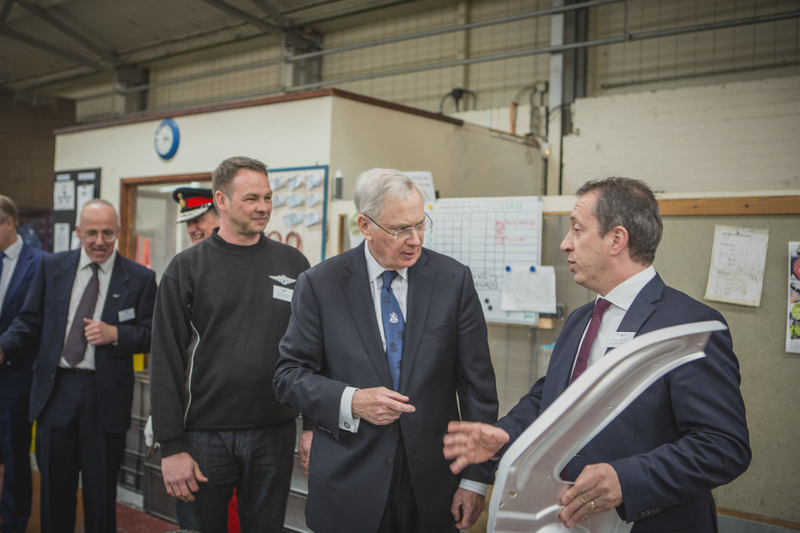 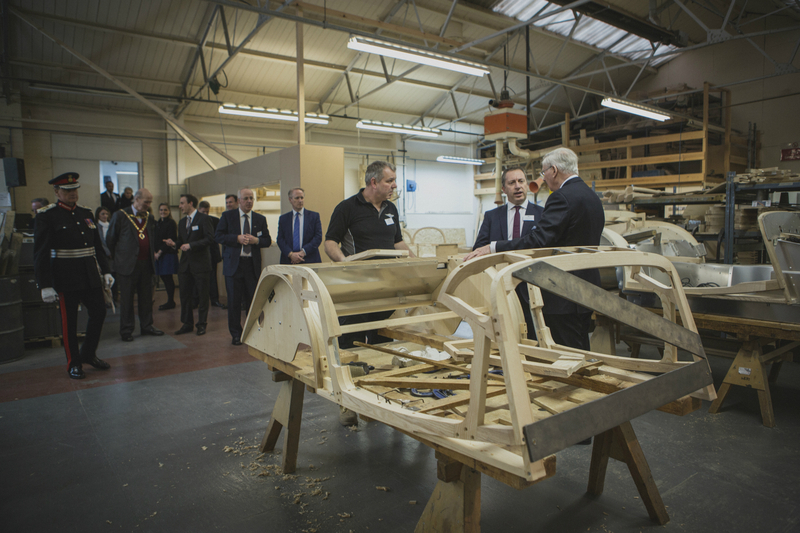 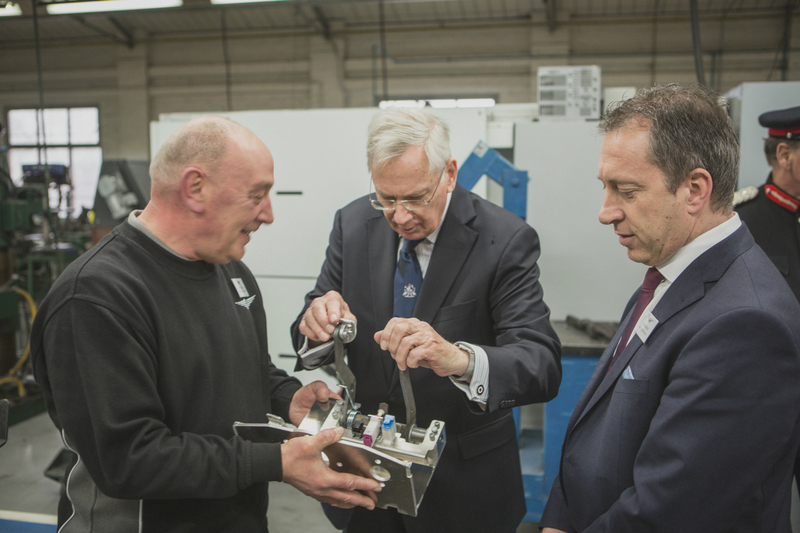 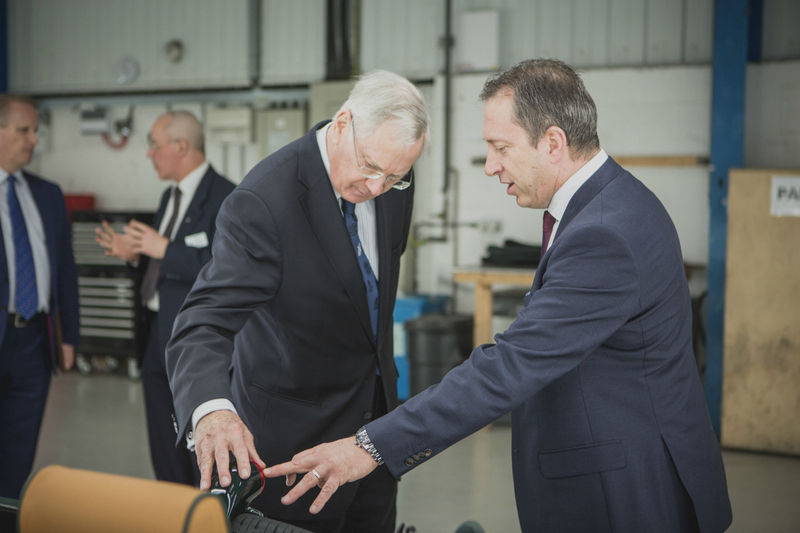 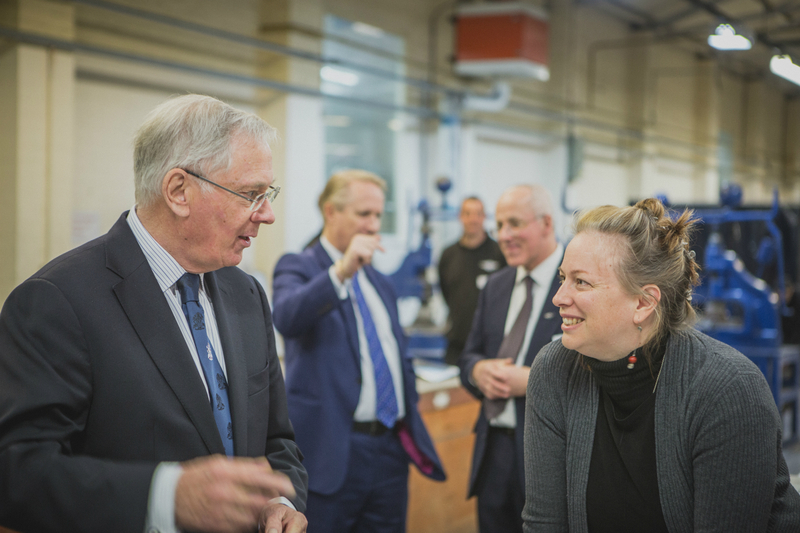 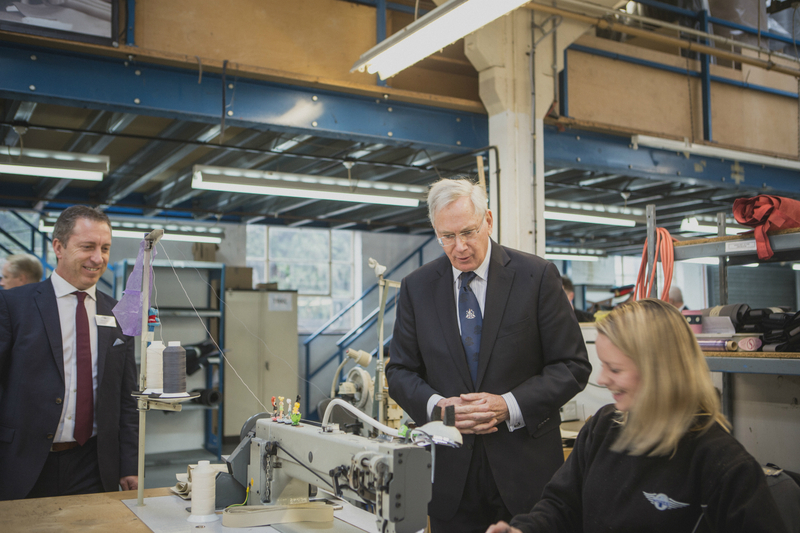 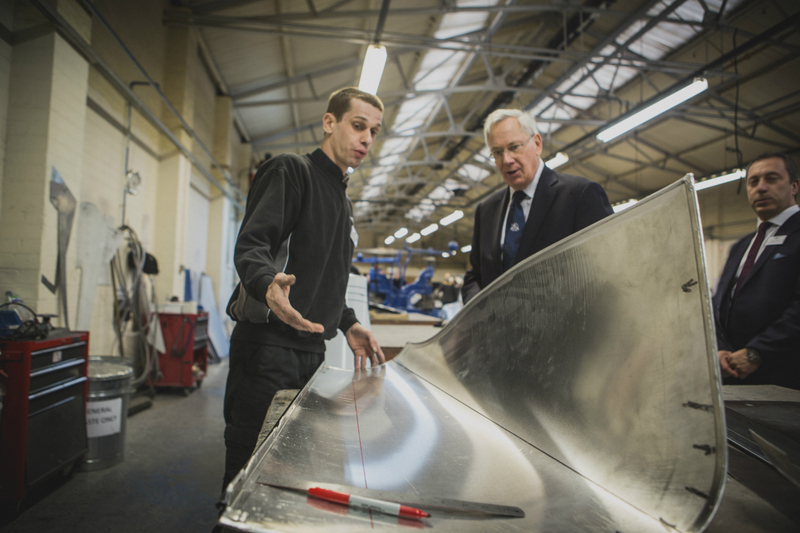 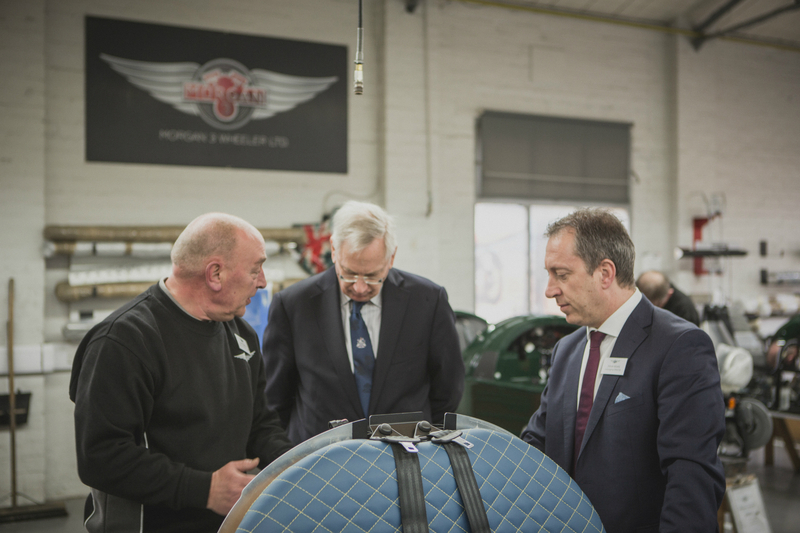 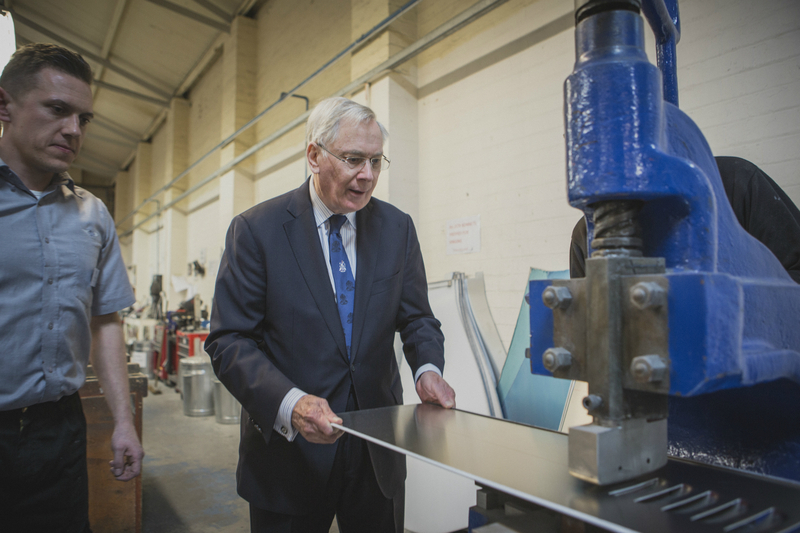 As part of his visit to the area, Morgan Motor Company were honoured to welcome HRH The Duke of Gloucester to the factory on Tuesday 15th March 2016. 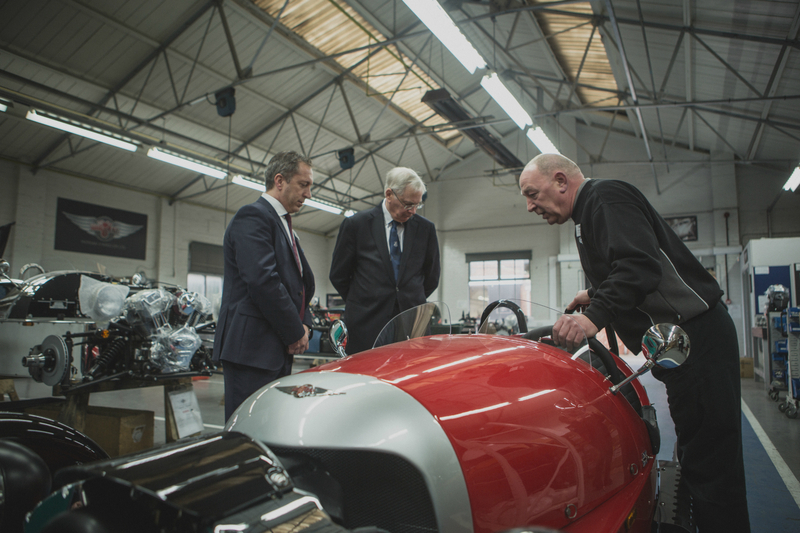 Visiting in the afternoon following a number of engagements, the Duke was shown around the factory by Managing Director, Steve Morris. 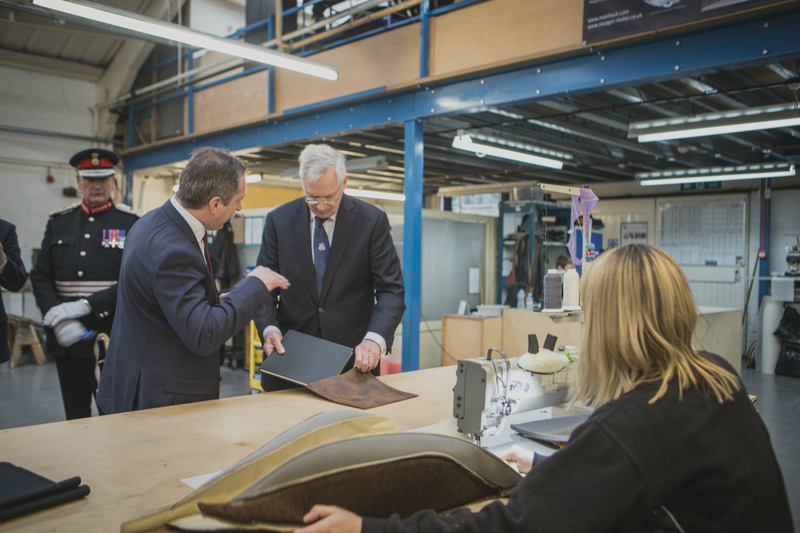 Steve introduced the Duke to a number of craftsmen and women as they walked through the various workshops at the top of the factory. 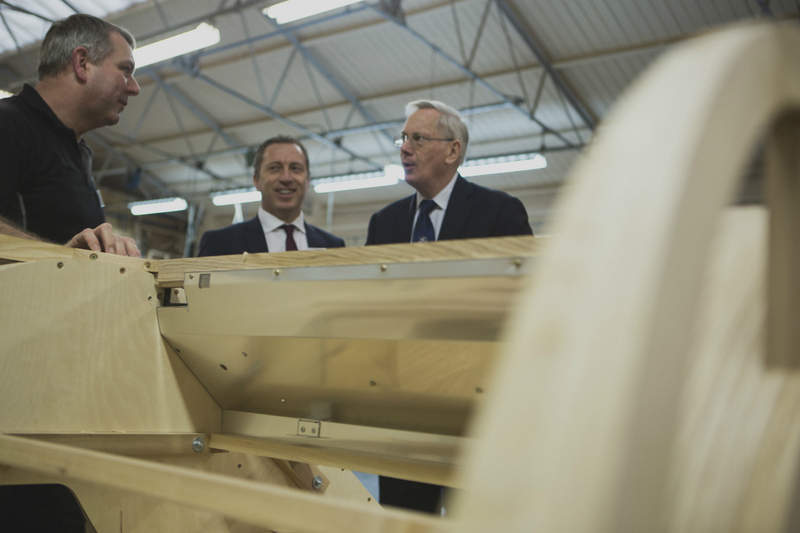 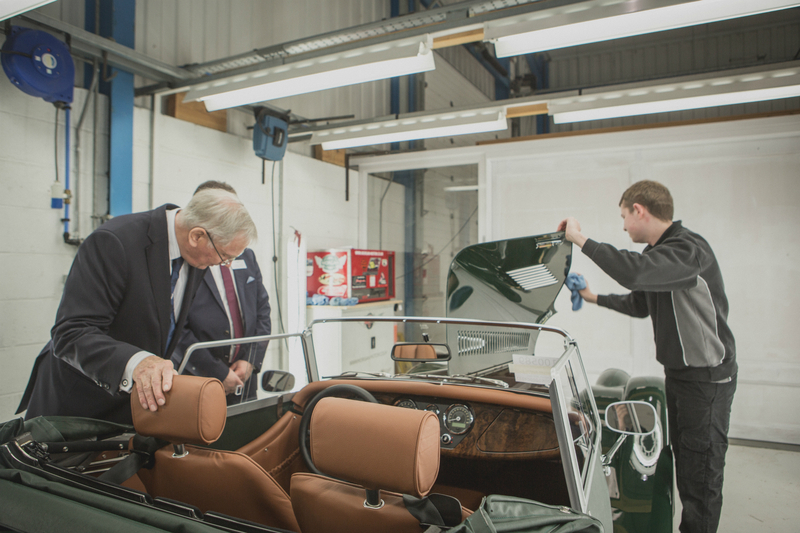 Eager to “have a go”, The Duke took the chance to stamp louvers into a bonnet with the help of Marcin Olszewski and Chris Tubbs before continuing to look through the remaining few workshops. 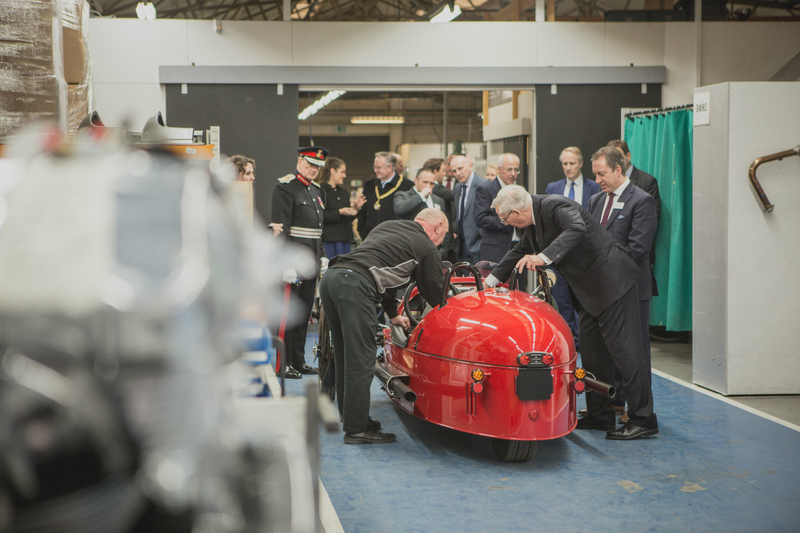 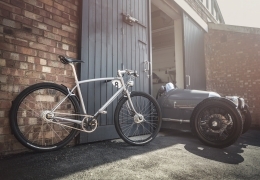 Apprentice Sewing Machinist, Steph Lewis, presented The Duke with a leather bound copy of the Morgan 3 Wheeler book as he was shown around the Trim Shop. 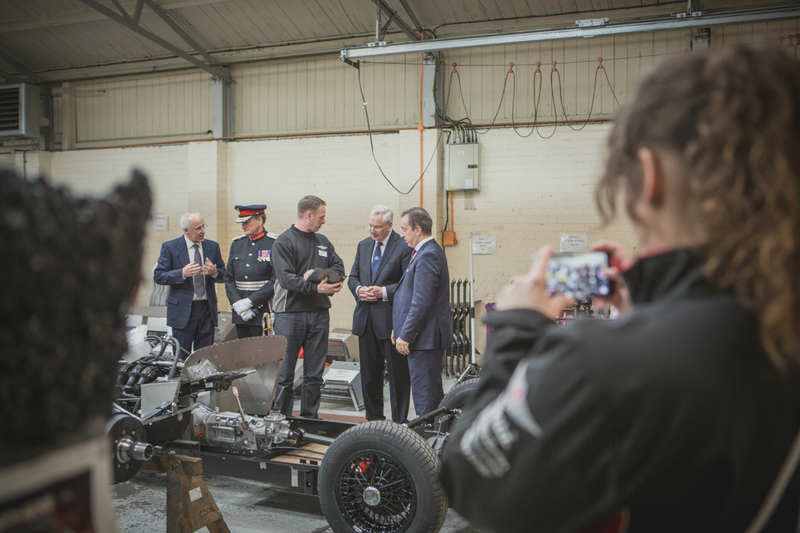 Steve proudly displayed the recently completed production line that will be used for building the new Aero 8 before introducing apprentices Lewis Potter and Adam Cole to The Duke. 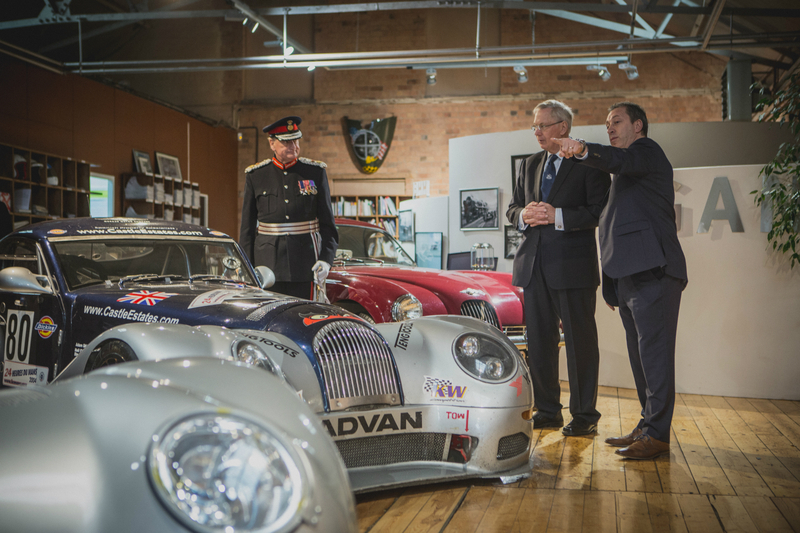 The tour of the production facility finished, like every tour, in the museum, where Archivist Martyn Webb gave The Duke a quick introduction to Morgan’s unique history. 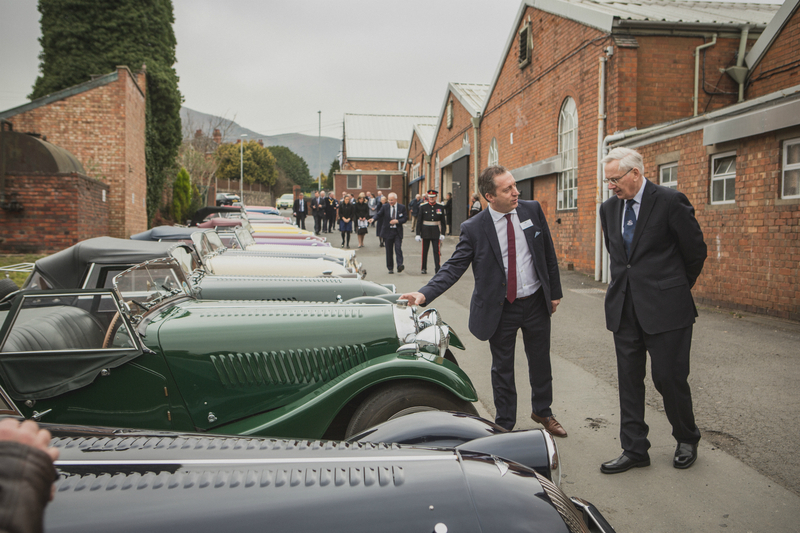 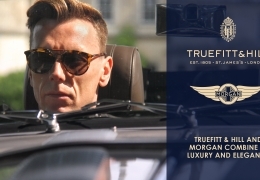 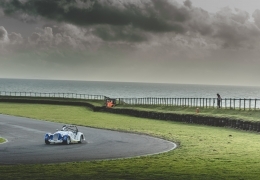 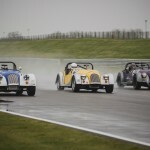 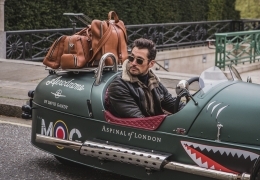 No tour of the factory is complete without a drive in one of world’s iconic sports cars and The Duke picked a 3 Wheeler as his transport to the Three Counties Showground where his helicopter was waiting.